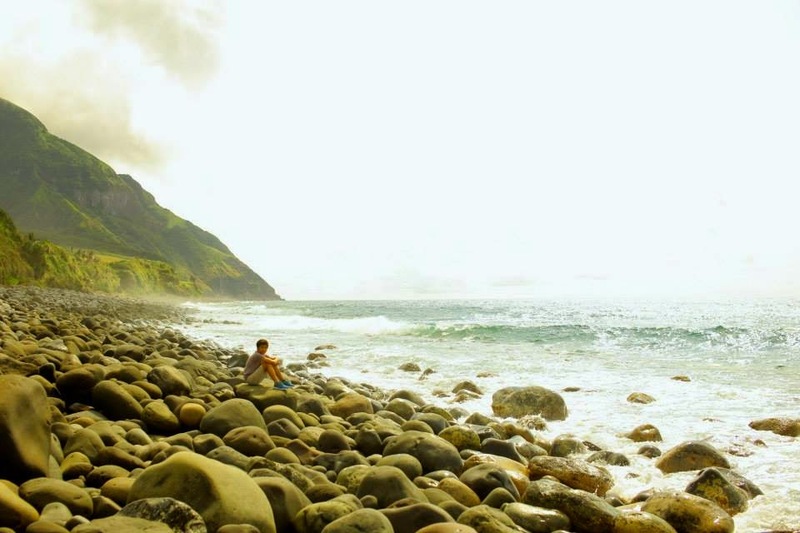 Cha & Marco's engagement has got to be one of the most well documented here in RB. 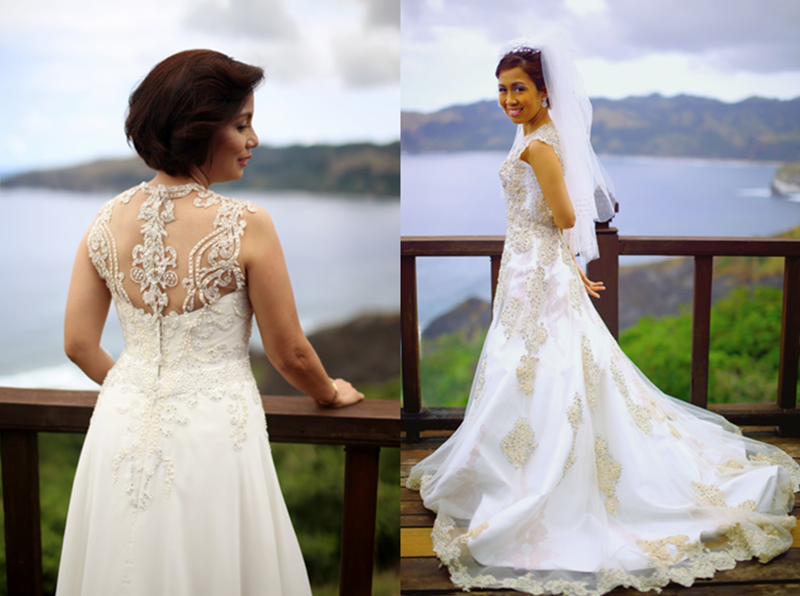 We got them for one of our editorial features (CLICK HERE), then we also featured their Save the Date (CLICK HERE), and finally their "Pamamanhikan" Family Prenup (CLICK HERE). I can still remember when Cha just recently got engaged. 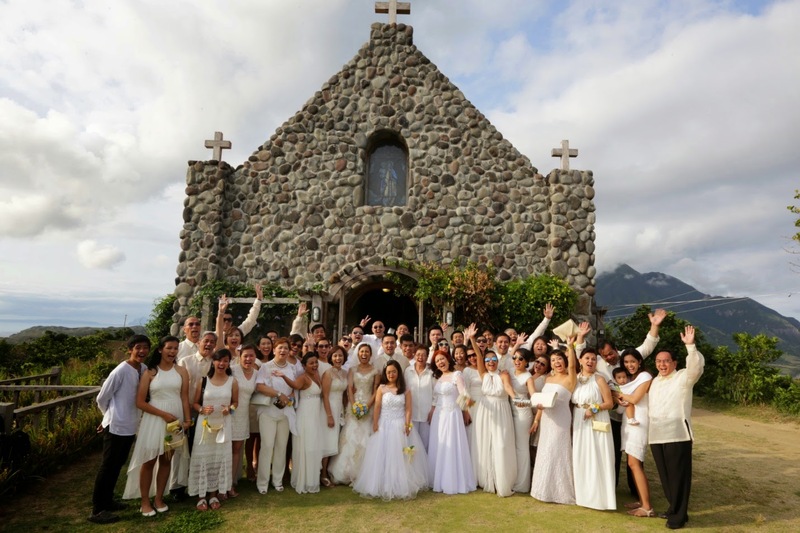 She was dead-set on having a Batanes wedding but for a split second, she got worried that her dream wedding wasn't going to be possible because she thought it would cost millions. We both simply couldn't agree to this at all! 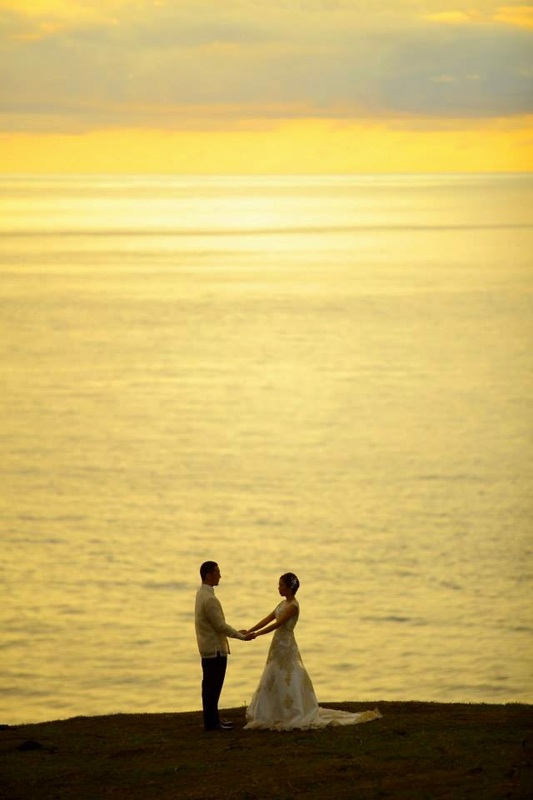 RB, through our Wedding Agency Service, helped her do the research and bring her to an ideal budget. 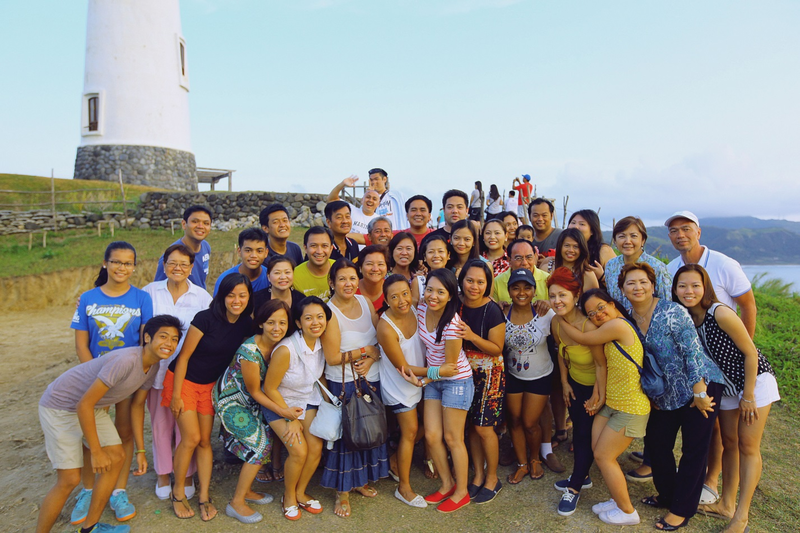 Cha & Marco's Batanes Wedding is quite rebellious in so many ways, that we didn't even know how to title this post. 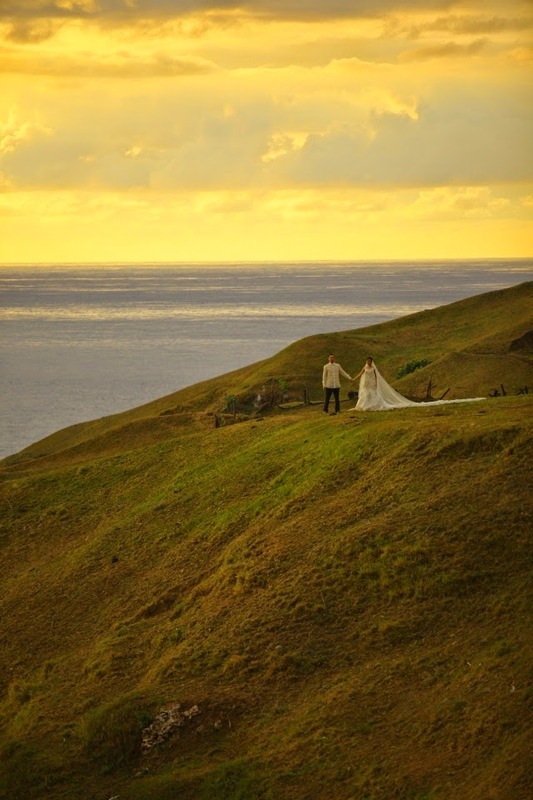 In the end we just thought of simply calling it their Batanes Wedding because just like the title, the wedding was no frills, no fuss, but heartfelt on its own. 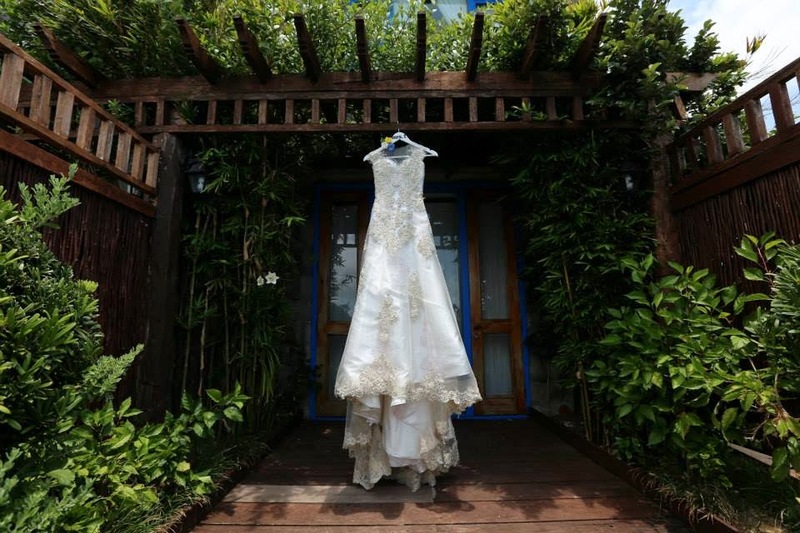 As a Rebellious Bride, Cha identified her key investments and kept everything else as practical as possible. 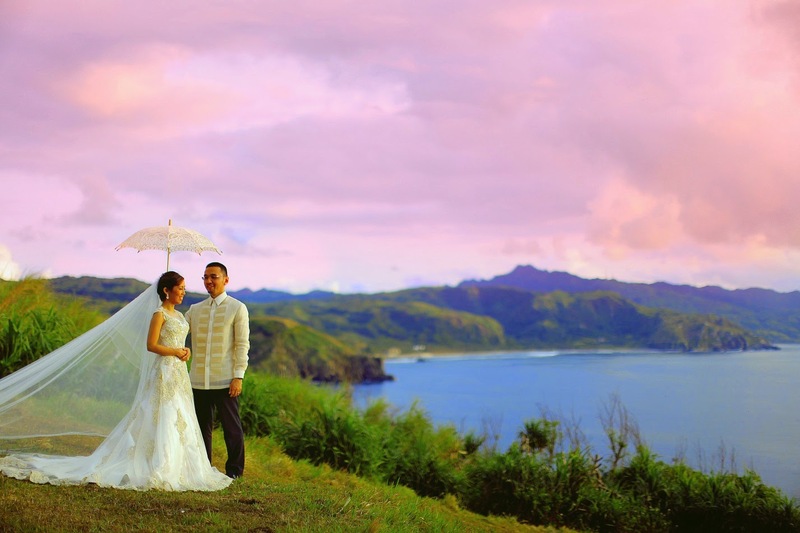 Her non-negotiables included her fabulous Vidal Clayton/Cecilio Abad Design Team bridal gown and Batanes as their wedding destination wedding venue. I had Cha develop her own blog post for her wedding (Phew! Thanks Cha! ), so let's get right to it! I never really had a dream wedding until Marco proposed to me. 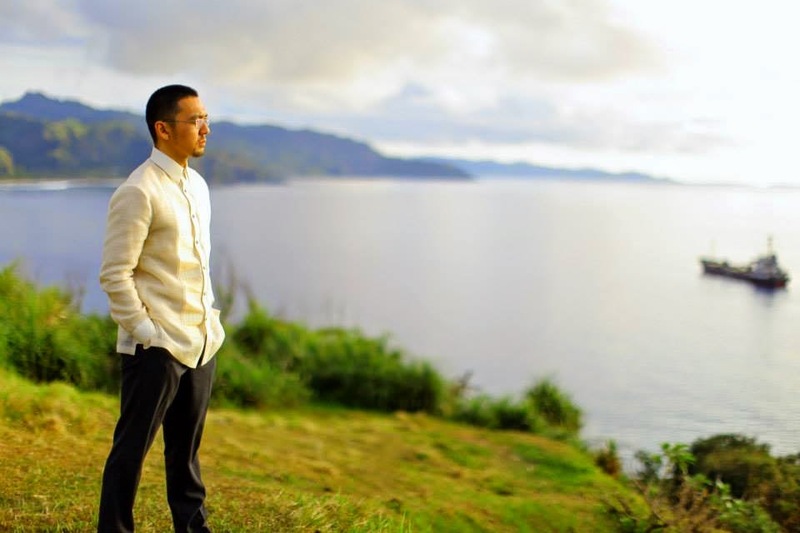 When he did, shortly before our tenth year together – Basco’s majestic sunsets, rolling hills, and boundless oceans came to mind for our wedding that was a decade in the making. 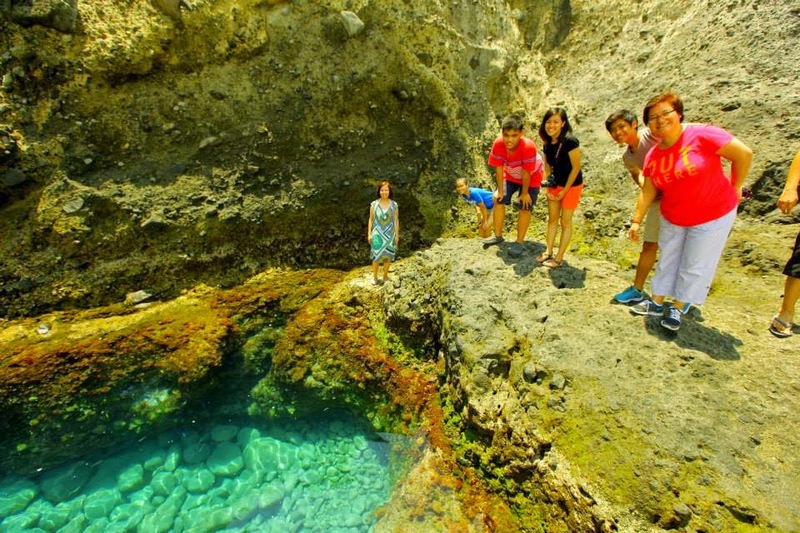 We’ve been there on vacation before and I never knew how much its magic stayed with me until suddenly, there was no other wedding venue option but Batanes. It felt impossible to pull off at the time. We were working on a conservative budget, it was definitely going to be a logistical nightmare, and we also anticipated some protests from family and friends. But nothing could shake my resolve. So, we started planning immediately – to anticipate and budget our expenses. 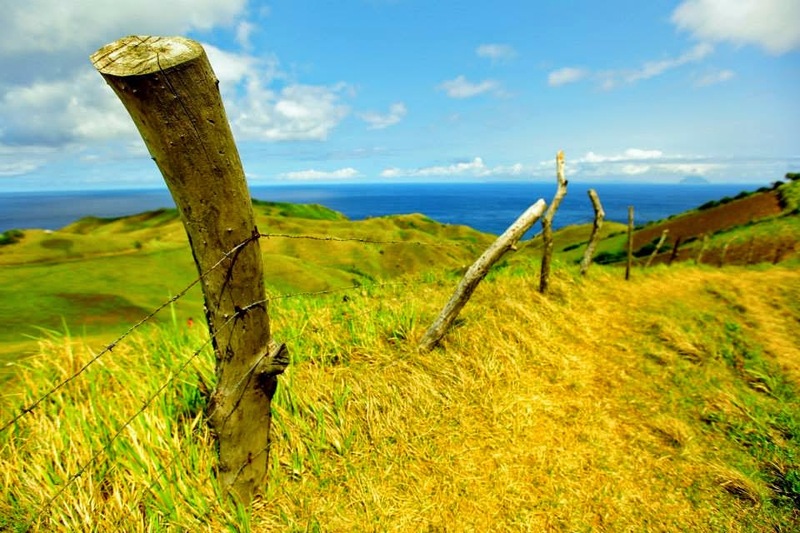 This was a good thing, because Batanes’ poor signal left us with delayed feedback from our contacts there. Also, I firmly believed that whatever doubts and complaints anyone had would be quickly dispelled once they arrive in this enchanted place. At the onset, we had to agree on what the wedding was going to be: simple, laid-back, intimate – at the same time it was going to be a grand adventure, a fun celebration, a once-in-a-lifetime-group vacation for us and our closest family and friends. We wanted to include everything and everyone we loved, with very little frills and a whole lot of heart. 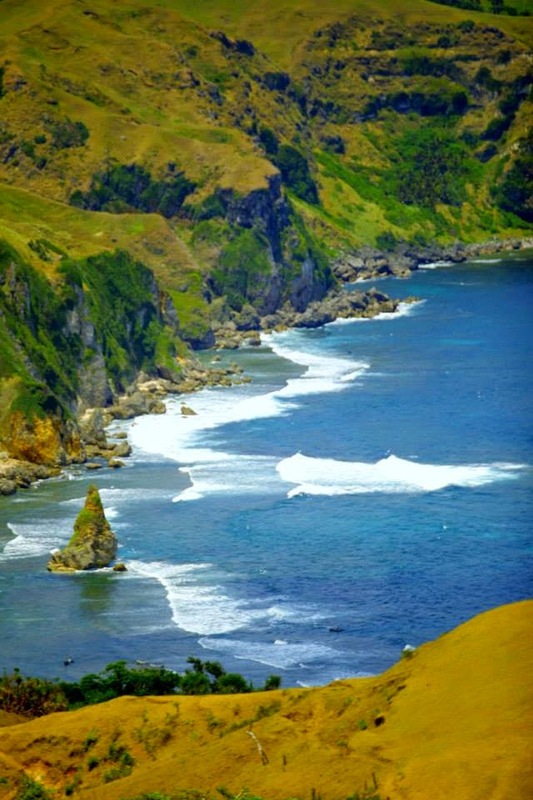 First, we flew to Batanes a few months before the wedding, got to know the locals and tried to source locally, as much as possible. 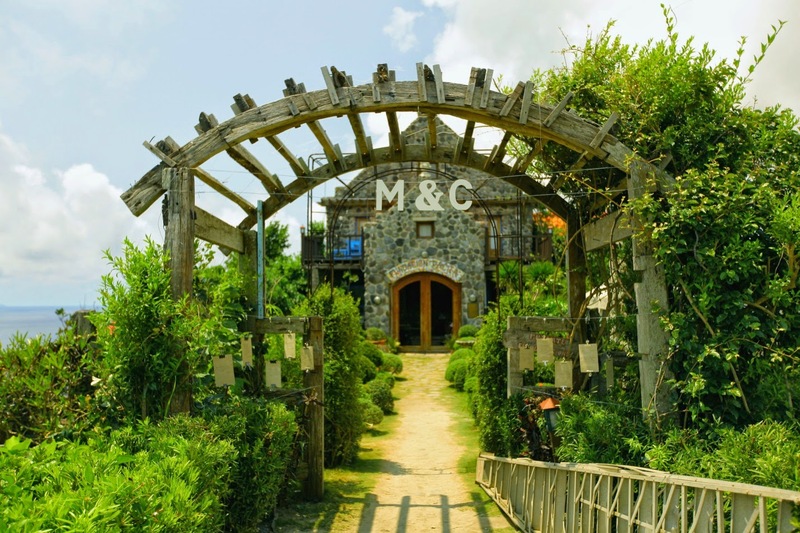 In lieu of giveaways, we treated our guests to a one day tour of Basco with a picnic lunch and sent the photographers with them (the only “supplier” we flew in – who also happened to be our friend and wedding guest). 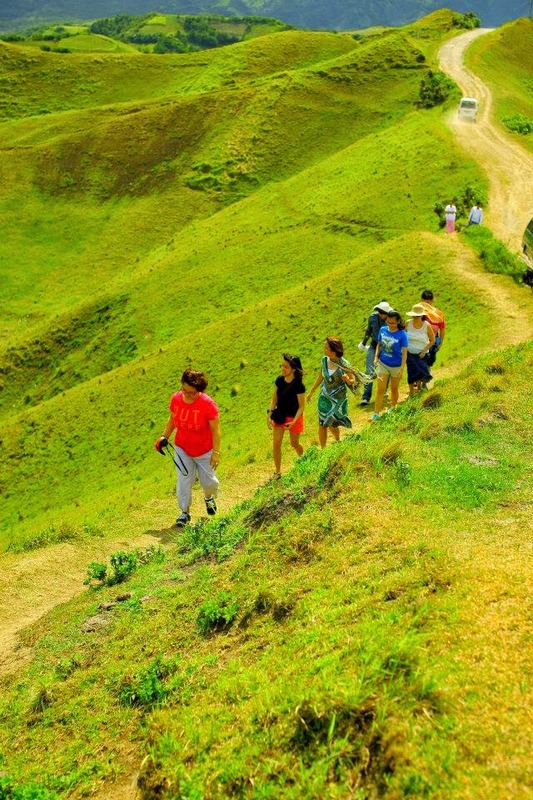 This way, they would have an unforgettable adventure, bond with each other, and have wonderful photos to look back on. We even purposely mixed the bride and the groom’s friends in the tour vans so they could break the ice before the wedding. Also, since there was poor signal, our guests were forced to talk to each other instead of being glued to their phones – which was actually a bonus! 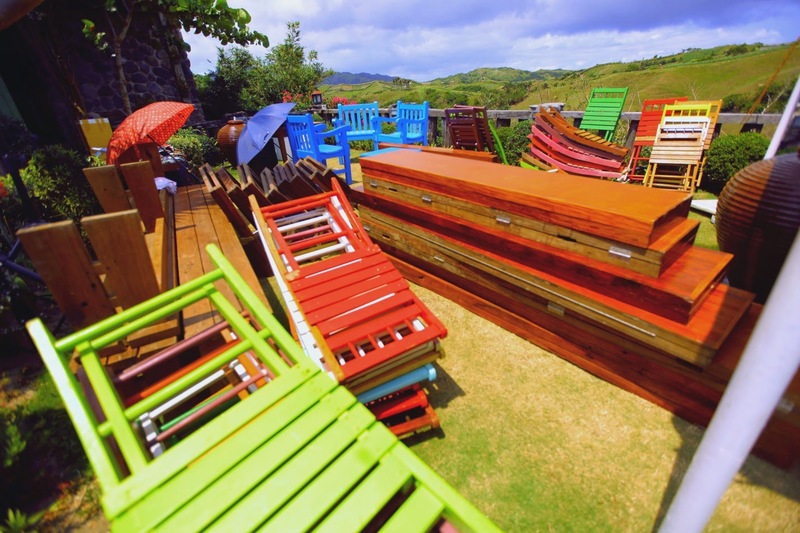 While the guests were on their tour, we stayed behind at Fundacion Pacita, our reception venue. 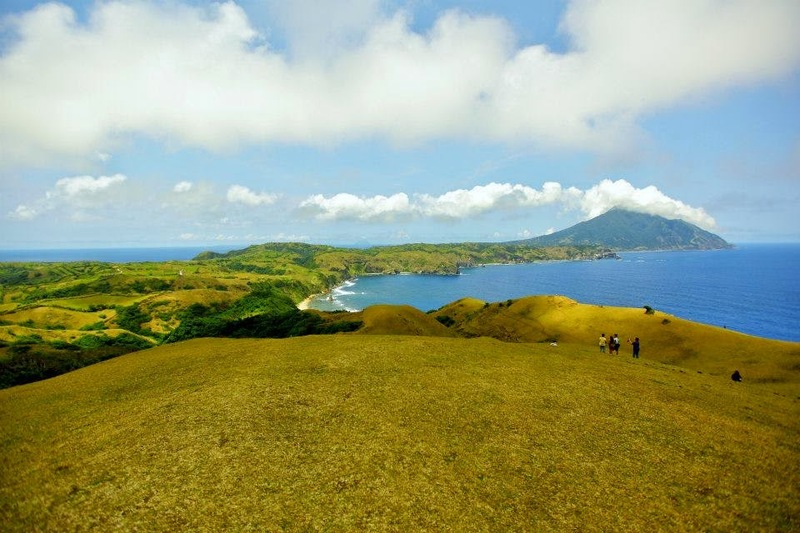 Situated atop a hill, it offers a 360 degree view of mountains, sea, and sky that will take your breath away. Flying in and housing a wedding coordinator was beyond our budget, so we had to do everything with our bare hands – with a lot of help from the staff. We didn’t intend for it to be a DIY wedding, but it ended up that way. For the wedding décor, we just went with simple personal touches since the venue was already a feast for the eyes. 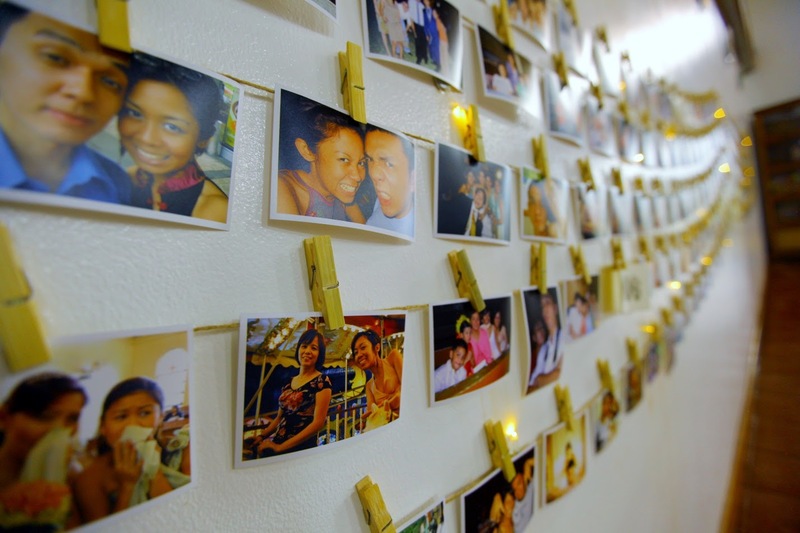 We mounted over 300 photos with our family and friends from our ten years together and assembled LED lights and mounted them around Fundacion. The LED lights were cheap, easy to transport, and didn’t need a power source – it was a great alternative to bulbs or Christmas lights in mason jars. 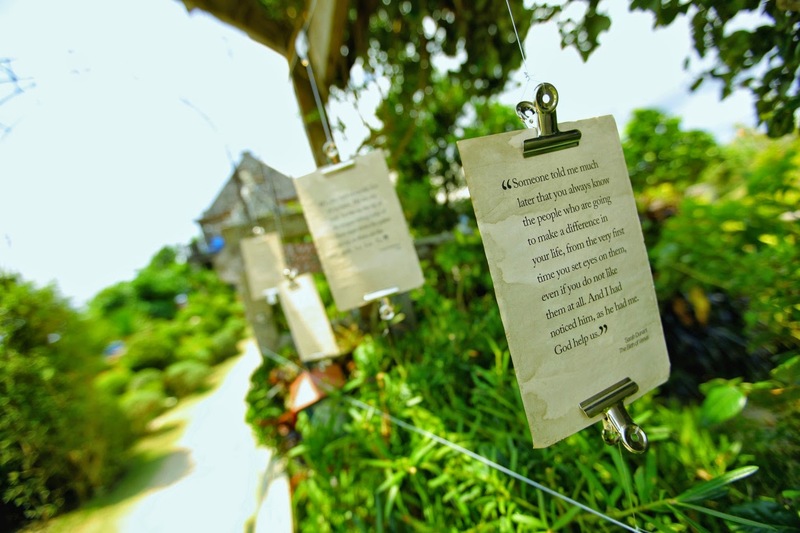 In the archway leading into the garden, we mounted some of my favorite book quotes which we printed and coffee-stained in Manila. 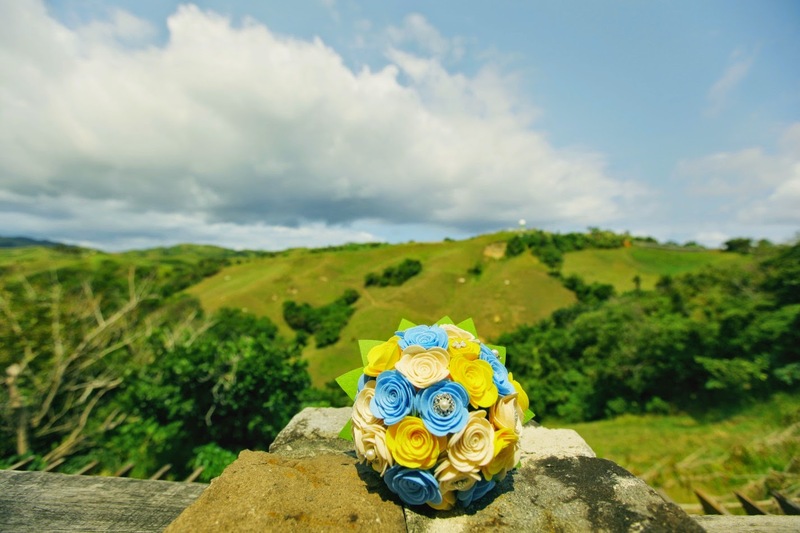 Since there were no florists in Batanes, I opted to have a felt paper bouquet made by Koni of Candidly Pretty. She also made matching felt paper corsages with tiny book charms featuring my favorite novels for the entourage. At the church, we mounted paper lanterns with LED lights (which our friends later transported to the reception venue). 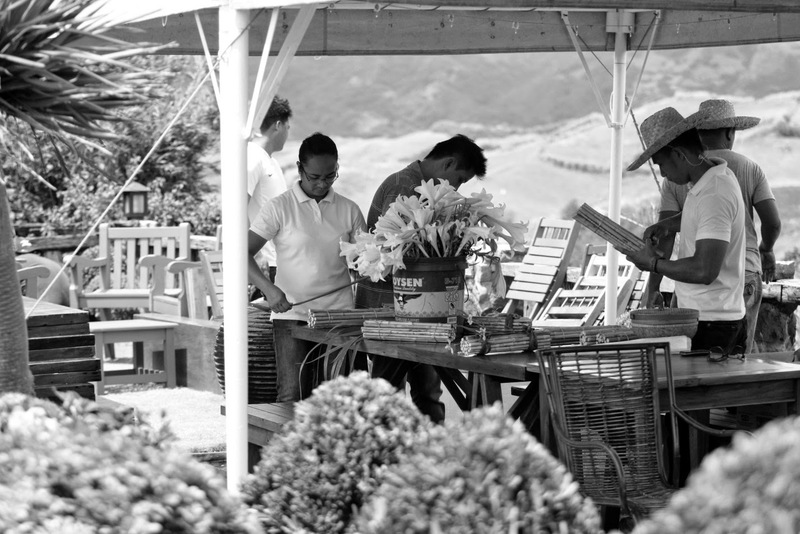 Again, they were reasonably priced, easy to assemble, easy to transport, and most importantly – the flowers never wilt! For the ceremony, we hired the local choir and emailed the songs in advance so they could practice. At the reception, we rented speakers and played our wedding playlist from our iPod. Since flying in and housing a make-up artist was just too expensive – I was already planning to just do my own make-up. However, we found a Batanes-based make-up artist so I had my make-up test just a day before the wedding and decided to go with her instead. 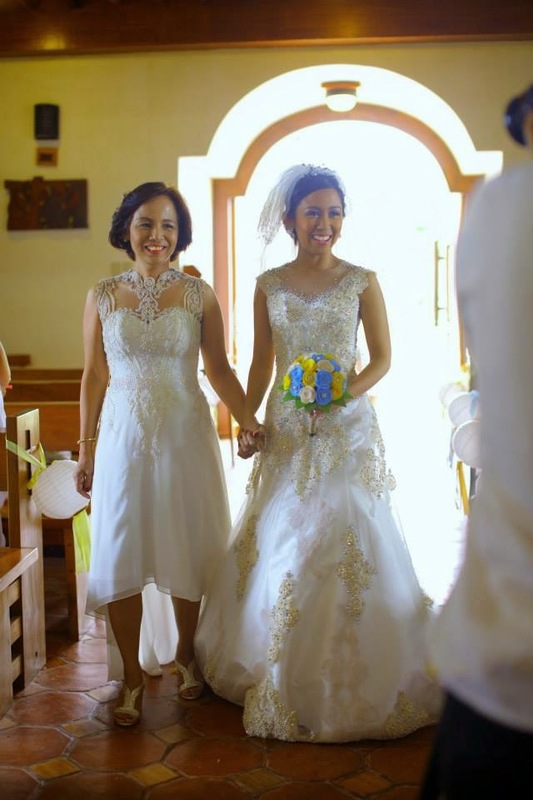 (Mother and bride. Hair & make-up by Shem Lee. I also decided to do away with entourage gowns. Instead, I asked all the guests to wear white summer dresses. 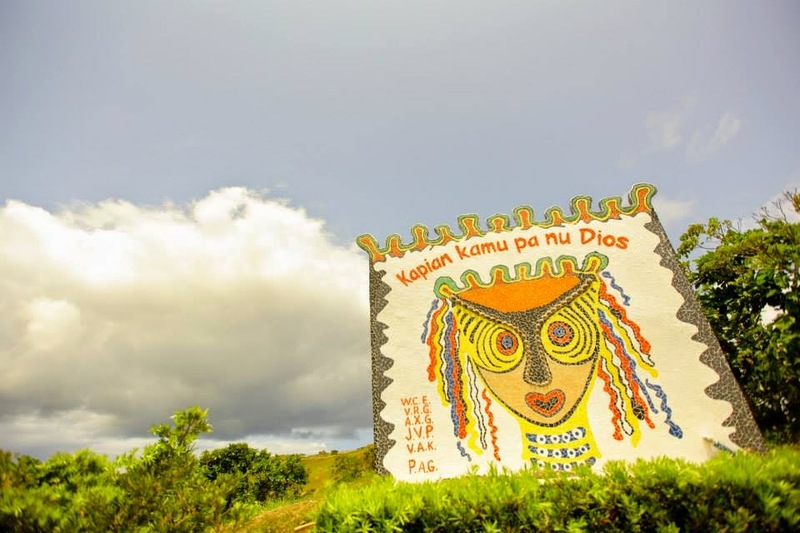 On top of the savings, the guests all looked lovely and effortlessly elegant against the scenic greens surrounding Tukon Chapel and the vibrant hues of Fundacion Pacita. Our friends also “refused” to accept the fact that we did not prepare any program at all so my bridesmaids and maid-of-honor, together with the best man, surprised us with heartfelt speeches and an impromptu program. My sister-in-law sang Etta James’ At Last so beautifully for our “surprise” (because we didn’t know we were going to do it) first dance, the guests thought it was an mp3. We cut a cake we didn’t know we had, because my bridesmaid bought one from the town before the wedding. 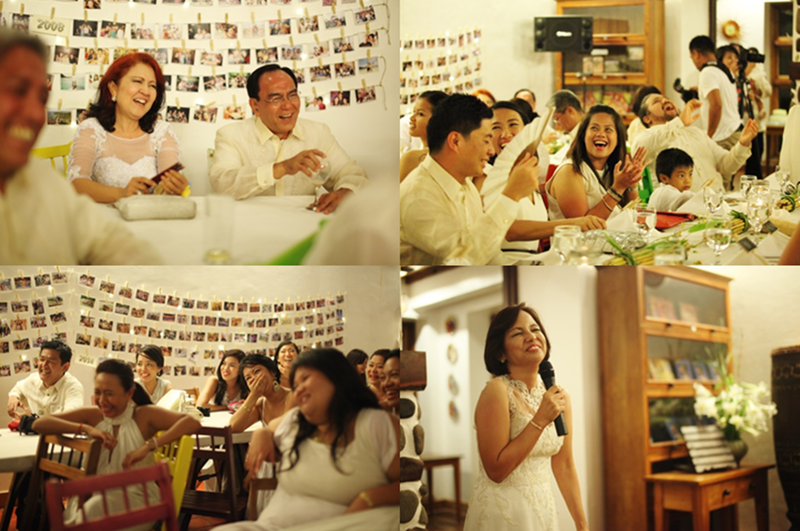 My friend and videographer, together with my maid-of-honor, did a comedy act for the speech – where one told the story in Tagalog, with the other one (mis)translating in English. And so, with no wedding planner, traditional giveaways, flowers, live music, entourage gowns, bridal car, reception program and host together with 11 months of planning, haggling, coordinating, Microsoft Excelling, panicking, praying for good weather and safe flights, and a whole lot of help (and love) from our family and friends, we finally had our dream Batanes wedding come true! 1. 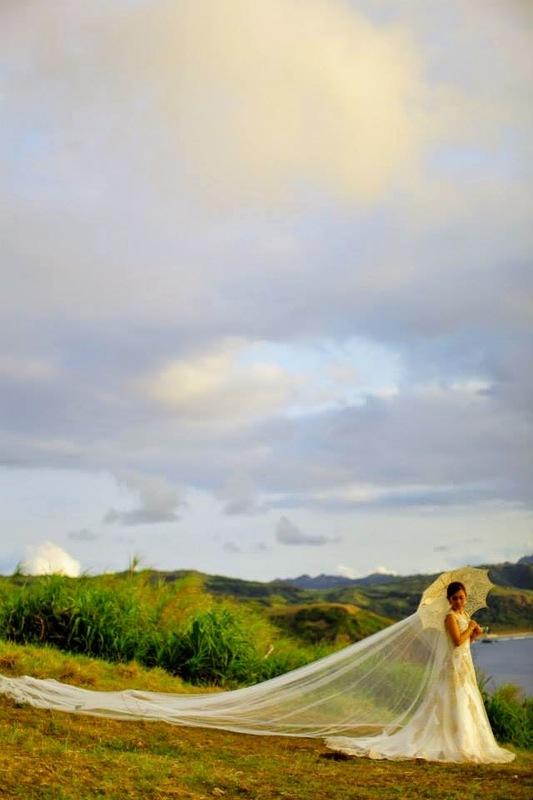 Have a meaningful destination wedding that is not just about you but the people who love you. 2. 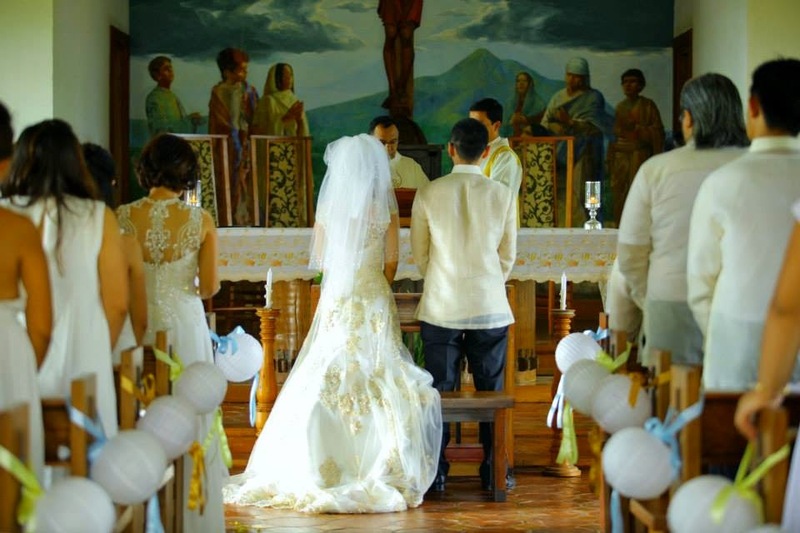 Weddings are all about what matters the most: it's not always about the usual souvenirs, the usual program, and the usual entourage styling--but it doesn't make the celebration any less powerful. 3. 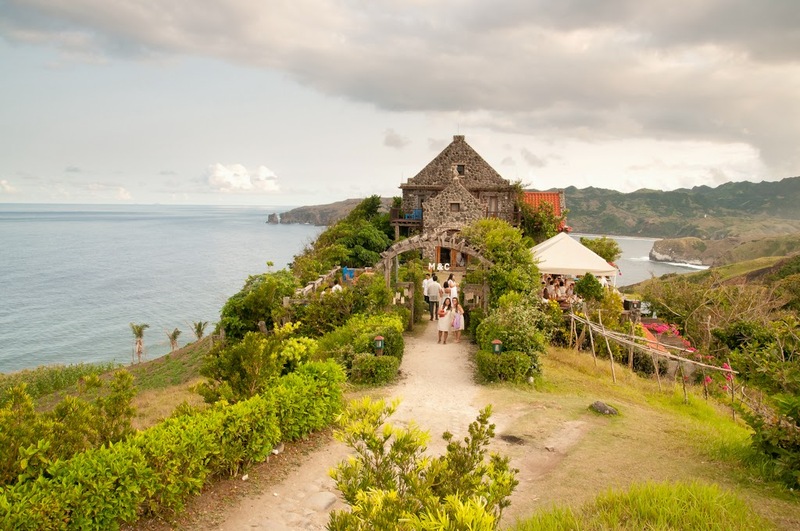 Destination weddings are obviously about the beauty of a destination--there's no need to overdo on the styling---can't stress this enough, over and over again! 4. When somebody tells you that a wedding costs 7 figures, you should never lose hope! 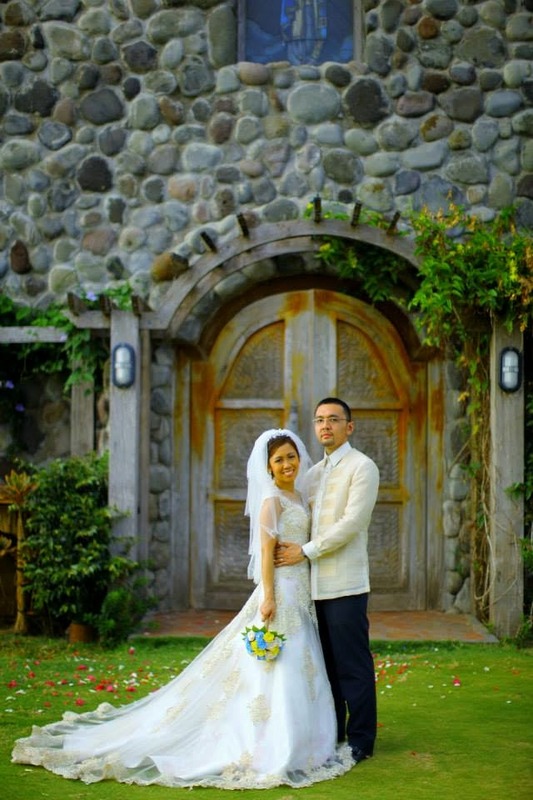 Your dream wedding is ALWAYS possible to be within your ideal budget so long as you know what to prioritize. Congratulations to Cha & Marco! May you have a magical marriage as in your wedding.